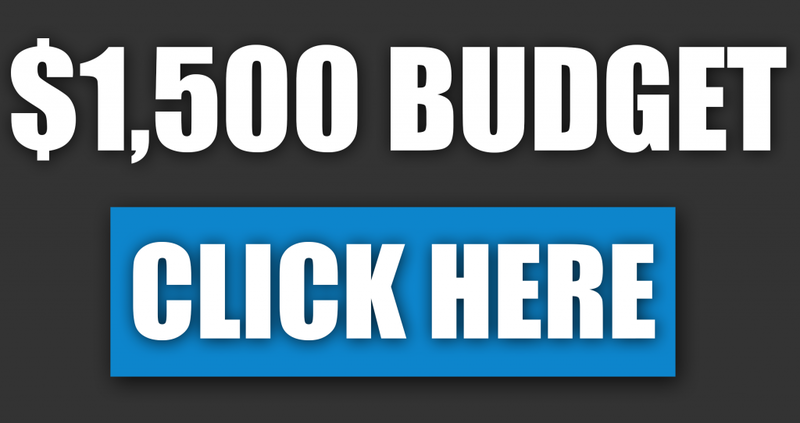 Before venturing into your build you need to know what type of budget you’re working with. From there, you can execute on ordering each part! 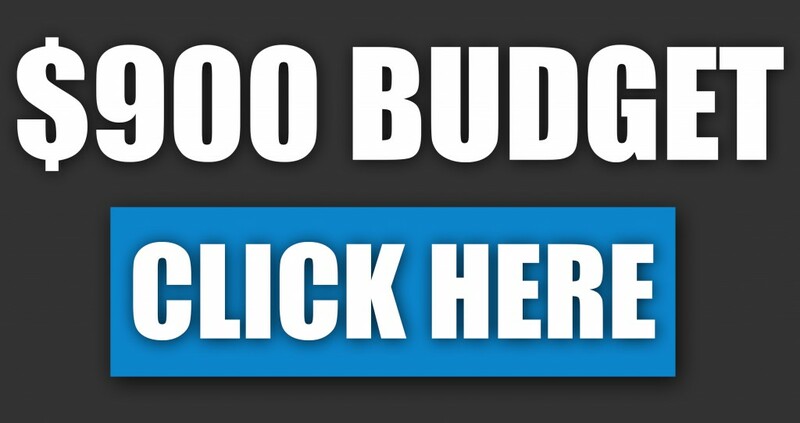 Below are links to each budget guide. The more you spend, the more powerful your PC will be after completing the build. If you’re looking for something as an entry level PC that can handle most gaming at a 1080p resolution then I’d suggest starting by looking at the $500 build guide. 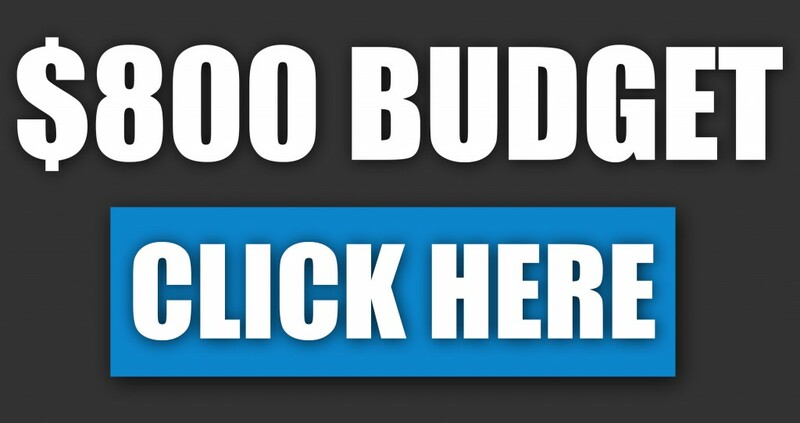 After you pick your budget point you’ll see the complete part list that corresponds with that type of budget and you’ll also see the same video guide on putting all of the parts together. I will also share that video on this page! Newegg TV created a series of 3 videos and they are filled with pure quality content on how to build a computer completely from scratch. When I built my first gaming PC I watched the video below and copied everything step by step as I built my computer. It took a while, but man it was a great feeling once it powered up! What do you guys think of this video? Is it informative? Which build are you going to go with? 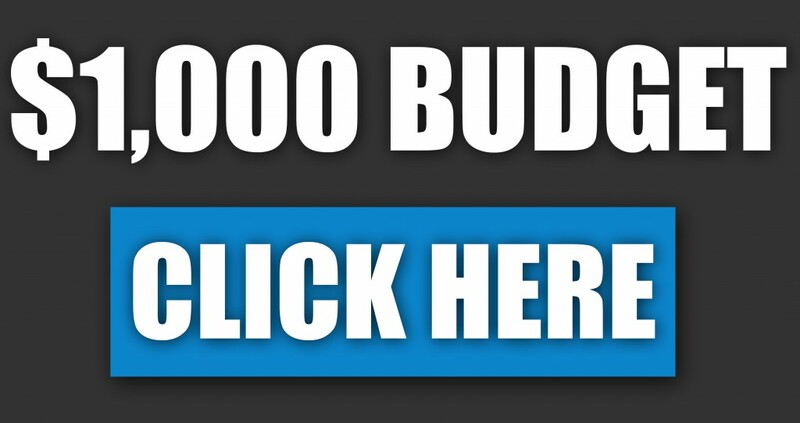 very good website especially the video, how did you get the video into your site. very informative through out links were very easy to follow and the pictures were great it looks very professional keep up the good work. As for the video, I went to YouTube and copied the embed link and then pasted it into the text area of my blog post. I then tweaked the dimensions to get just the right size that I wanted. 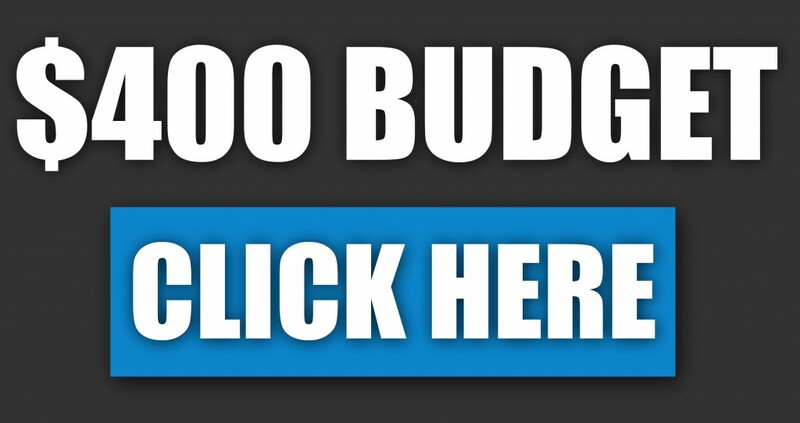 If you’re looking for something strictly for games that aren’t as demanding then the $400 build is going to benefit you ten fold. How much did the build with the money case cost. I think it is a good build and I like but I’m not sure if it’s in my budget. My budget is around $450. Also the video was very helpful. To me since I didn’t know to much about Pc. Thanks in advance. I’m not sure, would have to research each part to see the overall cost. Right? The video helps ten times over!! So doing my first build, bought all the pieces in the $400 budget computer. Thinking I followed it correctly nothing powers on nor is there an led on motherboard showing the power is flowing. It’s best to go through the video again slowly ensuring that each step was done correctly. Do you have the CPU fan plugged into the correct prongs? All of the right power cables from the supply to other parts such as the motherboard, graphics card etc is plugged in correctly? Nothing happens at all when you go to power on? Have you tried powering up via the screwdriver method? I have a LED strip that goes around my desk that has a remote for changing colors and what not, check them out! There are a bunch of different lengths and what not. glad there are people such as yourself who can comprehend the inner workings of computers, I don’t think I’d ever be able to wrap my head around it! Great work on your site & thanks for sharing your extensive knowledge! I’ll know who to come to if I ever have internal computer issues! Thank you for the kind words Alayne! Hey Parre, Lot’s o’ cool stuff on your website! The video on building your own pc is GREAT! Best success. I agree 100%, the Newegg TV video series is the best especially when it comes to someone new to building a computer! I built my first computer 4 years ago, and like you, I started out not knowing much. It was so rewarding when it powered up and everything worked. 🙂 Amazon has always been my go to source for PC parts since they have awesome customer service. Amazon is great, I go there for anything really, especially computer hardware. Hey Colton, from reading your website (which is awesome!, btw), I finally came up with a build. I’d appreciate if you took some time and looked at my amazon list and see if it’s all compatible since this is my first build that I’m planning to do. Thanks for your time! That looks like a pretty great build, though it’d be in your very best interest to spend the $10 for the FX-6300. There’s is a big gap of performance power between that and the CPU you’ve got there for your build, you’ll regret not doing it honestly. The CPU you’ve got for your build isn’t going to really stand the test of time… but everything else is going to result in an amazing setup! I am building a $1000 dollar pc. I was going to buy one off of Cybertronpc, but when I saw your site I was encouraged to build my own. So i went on pc part picker and came up with this list. I was wondering if I left anything out of the build besides an operating system. I am going to boot that from usb. Looks like an extremely solid build to me man, might want to look into a wireless network adapter. 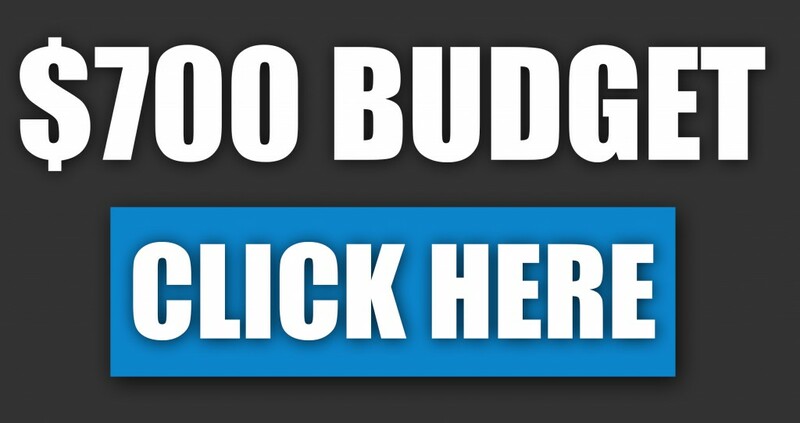 Check out the one I recommend on any of the different budget points that I’ve made available here. Other than that I’d say you’re good to go! I looked for everything on that list on Amazon and found that it added $120 to my price. Is it worth it to take all that time to go through other websites making accounts and having different warranties or should I just spend the extra money and buy all of it from Amazon? It depends on however much money you want to save and what kind of service you’d be able to be offered for the amount you have to invest. When I did my first build I also had this same thought. I was really happy to spend the bit of extra through Amazon because their support is the #1 rated support and they work great with their customers if any parts arrive DOA (very rare occurrence) so for me, I’d say go with Amazon. Thanks a lot. I always have problems deciding where to buy stuff. One other thing I was wondering is whether Amazon does good Black Friday deals. I ask this because I might be able to buy some of it at my local Best Buy. Yes, the first part will go over everything else. Refer to the 2nd portion of the video so that you can see how an AMD CPU is installed – it’s a little different than an Intel CPU. Everything else will pretty much be like the first part of the video. Hey man, kind of a random question, but if and how can I become a member on your site? Does it require a Steam account or something? I have a cord in good shape from one of my older towers. Can I use that to connect my PSU to the outlet when I’m using it, or do I need a new one? Also, I presume that I’ll need to use the wires from my 875w PSU in my new build, correct? It should work, I believe it should be the same “shape” if you will to fit in the power supply to the outlet. Okay so I was looking at your 500$ budget one and I was thinking about doing it and I was wondering if anything has changed with your recommended items and also I was wondering if I had to be experienced with PCs to actually put the parts together! The parts as is are very good when thinking about the future of PC gaming, though I’m not really sure if the graphics card has stayed around the same price point. I am probably going to be making a couple of changes in that fashion, though if you can afford the current card then I’d highly suggest picking it up! As far as needing to be experienced in order to put one together, no you really don’t. When I put my first PC build together I followed the same video tutorial that is embedded above and I went step by step. I knew absolutely nothing about putting computers together but that video made a world of a difference in that! Just wondering how often you find a power supply that is malfunctioning from the start?? Glad you dig the site 🙂 when it comes to low quality power supplies it usually depends on the manufacturer. I mainly recommend going with EVGA power supplies because they’re known for high quality, long lasting products. I have seen people use power supplies by a company called Logisys and it was absolute crap. EVGA’s got your back, it would be once in a blue moon to see their PSUs malfunction. Once you build your PC, you turn on PSU, will you need to ever turn off the PSU again after built? Nope, if you want your PC shut down then all you’ll have to do is shut it down through your operating system. No need to switch the power supply off. You’d only want to do that if you’re moving your PC to another area or something of that nature but even then you wouldn’t really need to. You could use integrated graphics with some of the builds, some processors have a graphics option which can be used to display stuff on screen and some are even good enough for 1080p video. For gaming, you’d definitely need to grab a video card. I think im going to go with your 400$ build, but how would i connect to the internet? Does it have a ehternet cable hookup or would i have to buy something that i can pick up wifi? If you take a look above, I talk about how to connect to the internet with the build. You could either use the wireless network adapter that I have listed above or you could also connect via ethernet though you’d have to get your own cord for it, the build doesn’t come with one. You’d be able to use ethernet after installing the motherboard’s drivers which come in a CD with the motherboard! What about builds that are full tower and have a water cooler? The builds I share here are for those on specific budget points, best bang for the buck. Since water coolers and full tower cases are super expensive, you won’t see a lot of them on the site. That CPU isn’t really worth getting man. You’re better off going with a different gen like Haswell with a different motherboard. Same price, a lot more power. Hey there Colton, it’s me your friendly neighbourhood Greg. So I’ve finally decided on parts that I’m going to use for my build, I’m just wondering what your thoughts are on this build and whether all of these parts are compatible with one another. I’m not entirely sure on the SSD at the moment, so I may change it as I’ve heard it’s slow. Definitely a solid build to move forward with, but do you have a link to the motherboard that you are using? Not enough info there to tell which one it is exactly. Other than that, everything looks great. Kingston SSDs are just fine! Ah good to hear the Kingston SSD’s are good, I’d heard that they weren’t entirely great in the way of speed, but in the end that really doesn’t bother me. Hopefully all the pieces are compatible with the motherboard, if not then I may need to do some more searching. Thanks for the feedback, this site has been helpful to me for getting ideas for a build. This is going to be the first time I build a pc, and I have a question about all the wires, are they seperate and can you make a list that is needed for the 2000$ build. All of the cables and what not that you’d need to get everything connected and working together is going to come with all of the different parts. The only other thing you’d really need is a Philips screwdriver! I have never had a gaming computer before and I am can save up for any of the builds you have here, faster for the low end but not very long for the higher end. So which of the builds would you say would be best for a first time gaming desktop? I’d suggest going with the $600 or $700 builds if you’re wanting to have a higher end PC to start off with. The $500 build would also be a great choice if you’re wanting to get it done ASAP, the other builds wouldn’t have to be upgraded as soon as the cheaper ones. 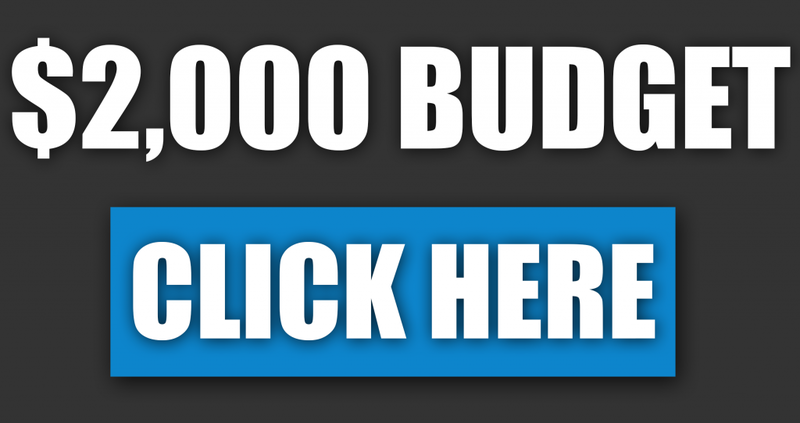 If you have the time to save for the $700 build then that’d be most optimal for the future! I bought the Cyberpower PC Gamer Ultra GUA3400A Gaming Desktop about over a year ago and I have been thinking of selling it and making a PC the can run games like Destiny 2, do you know what kind of specs and price it would be to have a PC like this? Depends on the type of performance you’re wanting, Sebastian. If you want to max out Destiny 2 at 1080p with 60+ FPS then I’d suggest going with the $800 build and up. If you’re wanting a smooth frame rate without having to max everything out then the $500 build would definitely give you a playable experience. Let me know what you decide to do! No problem, let me know what you decide to do! Its not the big connectors that are the problem, its figuring out all those teeny ones that scares me. Built one about 8 years ago and had to take it to my local PC guru to finish up with all those front panel to MB connections. Trying to figure out if its worth upgrading. My current setup is an Intel E8500 / Gigabyt GAP43ES3G and a GTX650TI Boost, no overclock (but have been seriously considering it). If my normal fare is the MS Flight Sim FS9/FSX, is it worth going up to the i5 or i7? Looking at where the GPU fairs in the current comparisons, I think maybe an upgrade to my GPU may be in store regardless. Wondering if the MB handle the newer ones? If you only plan on playing those sim games then your PC should be good to go as is, have you tried playing them with your current rig? Also is FS9 the 2004 edition of Flight Sim? If that is all you plan on playing then the specs you listed with your current PC should be able to handle them fine, let me know if you wanted to go ahead with an upgrade though if you planned on playing higher demanding titles as well. Only say that because the specs you listed surpass what is recommended for those flight sim games. Yes, FS9 in the 2004 version AKA Century of Flight. From what I have read on the forums, FS does not use all of the horsepower in those later CPU’s. I had asked on the forums about a year ago and was told that I could get a steady 3.7 or so out of my current CPU overclocking it with air cooling. Forgot to mention, I am still in the XP stone age, but am going to Windows 7 (most of my payware doesn’t work with 10) as part of the overclock effort. I am curious as to what does the CPU speed really say? IOW is the jump from 3.16 in my E8500 to 3.7 comparable to the same 3.7 in the i5 or i7 CPU’s? Or is it also dependent on the variables in the setup such as the OS / MB / CPU. If all you plan on playing is FS9/X then you’ll be fine with what you have going on right now. The E8500 CPU and the GTX 650 Ti are much more than enough to run those sim games without any issues. CPU speed is not the only factor that determines the performance power of a CPU. How many cores it has, how many threads, cache, the architecture and etc. CPU speed will determine how well the processing tasks of games and/or certain programs will be handled by the processor. Basically how well it’s going to keep up and how fast it can process all of the information involved in a game or a program. As for your 650 Ti, it was released around 2012 so it’s expected to not be on par with today’s cards but it’s still not too shabby of a card considering that it was released over 5 years ago. Now if you planned on venturing more into today’s titles and you were wanting the higher quality experience then I would suggest really looking into upgrades but since the specs you have are great for the titles that you play, upgrades/new parts aren’t really necessary. This is an amazing page and your setups are very detailed, but I do have two questions. 1) Instead of the 1 TB harddrive, would it be better to get a SSD? Hey Mars! I’m glad that you’re digging the site man. It’s a better idea if you don’t need that much storage space right away. For around the same price, you get a SSD that has a fourth of the storage space of a 1TB hard drive. A SSD will increase load times of games, programs etc. by a huge margin and booting up Windows when you power on the PC is much faster. It comes down to what you value more – Amount of storage space or the speed of the drive itself? You can always add a 1TB hard drive down the road. I’d recommend any of these from SanDisk if you would rather go for a SSD, they’re well made and they’re available for a good price right now. If you want a more constant 60 FPS rate then the $800 build is going to be the one to go for. Sure, the $700 build will do pretty well at 1080p and you’ll get a solid FPS but with the higher demanding titles, you’ll get 60 FPS less constant than with the $800 build because the video card performance difference is a decent margin. Thank you for the reply! I’m gonna go with the $800 setup. One more questiont though, can you have both a SSD and a hard drive at the same time? Yes! As long as you have enough SATA cables and the right cables from the power supply, which you will have with the $800 build, you’ll be able to add in a traditional hard drive with a SSD. Be sure to install your operating system to the SSD along with your most used programs/most played games. Anything else could go on the hard drive. So you have me thinking I might want to dip my toe into building my next pc after starting out with a commodore 64 in high school. I always thought AMD processors were better for gaming than Intel. I am not into big games, just The Sims 4 series. But after reading what you have said I am very hesitant to buy another computer already built off amazon. So which is really better for a game like The Sims 4 that is going to eat up ram, graphics and I think processor? I have a budge of around $1500 and I do know that people have said I would need at least 1tb HHD I want 2tb personally, 16gb RAM, at least a 1060 graphics card and a high end processor. You’d be able to put together a $1000 PC build that has more specs than what you’re looking for. Granted, you’ll have to add in the 2TB hard drive and 16GB of RAM but even after adding those parts, it should still be less than $1500 in total. AMD hasn’t always been better and when it comes to single core performance – Intel has a slightly better edge. But with easy overclocking and the lower price it’s right up there up to par with performance of the latest Intel CPUs as well. Be sure to take a look at the $1000 PC build guide I linked above and let me know what you think! I can help more over there as well if you need it, all ears here.